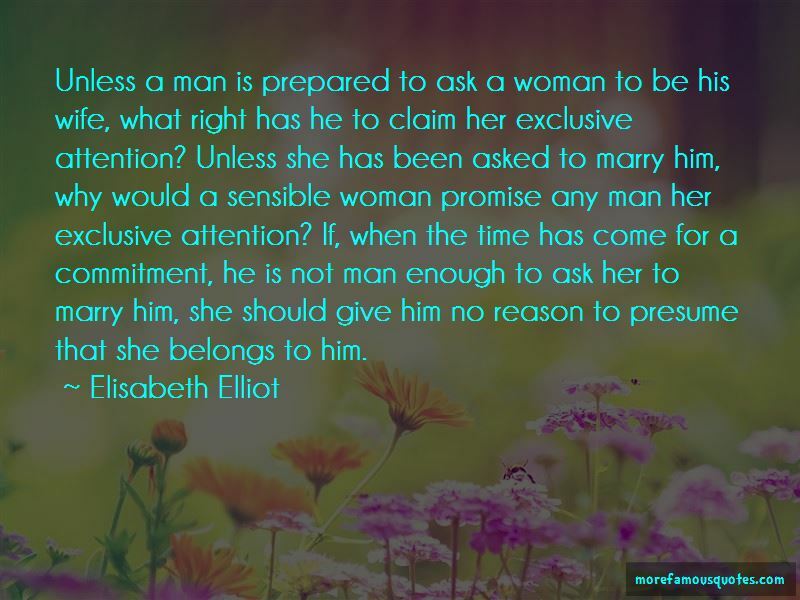 Enjoy reading and share 50 famous quotes about She Belongs To Him with everyone. “She was still hugging the cat. "Poor slob," she said, tickling his head, "poor slob without a name. It's a little inconvenient, his not having a name. But I haven't any right to give him one: he'll have to wait until he belongs to somebody. We just sort of took up by the river one day, we don't belong to each other: he's an independent, and so am I. I don't want to own anything until I know I've found the place where me and things belong together. I'm not quite sure where that is just yet. But I know what it's like." She smiled, and let the cat drop to the floor. "It's like Tiffany's," she said. “It strikes me you might place your gifts better. Why should you send powder to a ruffian who will use it to commit crimes? But for the deplorable weakness every one here seems to have for the bandits, they would have disappeared out of Corsica long ago." "The worst men in our country are not those who are 'in the country.'" "Give them bread, if it so please you. But I will not have you supply them with ammunition." “If our reputation rests on the decisions we make, then Abishag has impeccable taste. 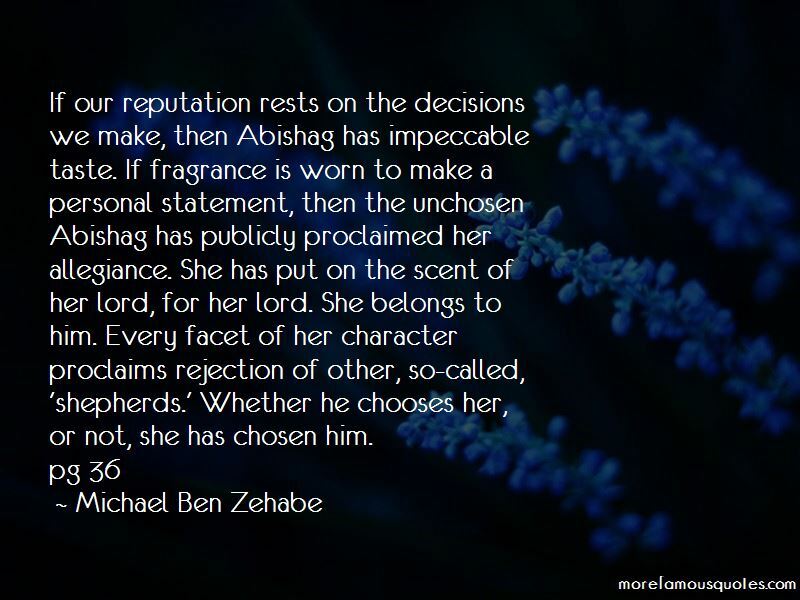 If fragrance is worn to make a personal statement, then the unchosen Abishag has publicly proclaimed her allegiance. She has put on the scent of her lord, for her lord. She belongs to him. Every facet of her character proclaims rejection of other, so-called, 'shepherds.' Whether he chooses her, or not, she has chosen him. “Unhand her," said a voice behind her. A voice she had never before thought she would be glad to hear. A voice that was commanding, strong and deep. Her eyes popped open and she whirled around to find the duke standing right behind her. The man made a grab for her but the duke had already caught her waist and deposited her behind him. "Let us go and I will not inform the authorities," the duke suggested. The man sneered, "Lady in mine." “Then it sounds to me like you love her. And if you love her, then tell her she belongs to you and she needs to get over it. Show her who's in charge. That's what I did with Sara. “I grab on to her wrists, pull them away from her face and kiss her lips, lips that can't kiss me back. "Please, wake up. I'm right here." I take in her bottom lip, and it's hard to do when her body trembles and her arms shake for freedom. As I move away, Echo briefly stills. My heart pounds hard once. She heard me. "It's a bad dream, Echo. It's not real." “Little black and tan older dog?" Verdie asked. "Do you know who he belongs to?" “Oh, but this gift isn't the same as an ermine. This is property. Don't you understand how rare that is for a woman? Property always belongs to our fathers, brothers, husbands, sons. We never get to own anything." "Don't tell me you're one of those women with radical ideas." Want to see more pictures of She Belongs To Him quotes? 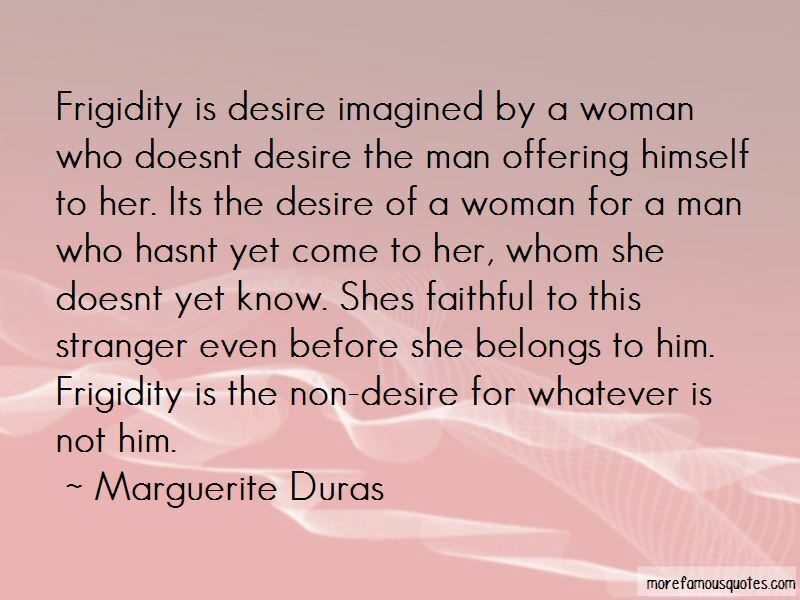 Click on image of She Belongs To Him quotes to view full size.